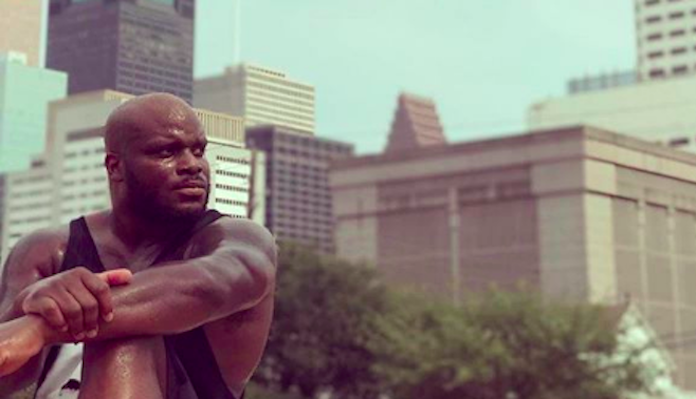 UFC Wichita marked the return of “The Black Beast” Derrick Lewis for the first time since his title-challenging effort in November 2018 against Daniel Cormier. Unfortunately for Lewis, his attempted rebound wouldn’t get the result that he wanted as his opponent, former champion, Junior Dos Santos would end up taking home the second round TKO victory. However, this would end up being the least of Lewis’ worries though as it was revealed by his team shortly after the fight that he was dealing with multiple knee injuries. Those of which included ACL, MCL, and meniscus tears. ESPN has now confirmed that Lewis is set to undergo surgery on his left knee for the ACL tear which is believed to be four years old. Lewis says that he found out about his injuries two weeks prior to the Dos Santos fight and was cleared by doctors to compete after informing the UFC of what was going on. The hope is that Lewis will only need a six month recovery period. Doctors have since come to the conclusion that the knockout artist first tore his ACL against Ruan Potts at UFC 184 in February 2015. A fight that saw Lewis have to fight out of a kneebar attempt from his opponent which also tore his MCL and meniscus. Despite all that, Lewis would defeat Potts via second round TKO. Crazily enough, Lewis has fought 13 times since then where he’s gone 9-4 in the process. Having dealt with notable back issues throughout this period as well, it’s incredible that Lewis has had as much success as he’s had with all of these physical issues. Now having lost two in a row to Cormier and Dos Santos, Lewis rides the first losing streak of his 29 fight career.